Much is also being made about her silence on matters that are, less the bread and butter of human rights than its publicity. To air them is to incite a miracle. The atrocities against the Rohingya by the Burmese military is marked out as a significant inkblot on previously unblemished paper. 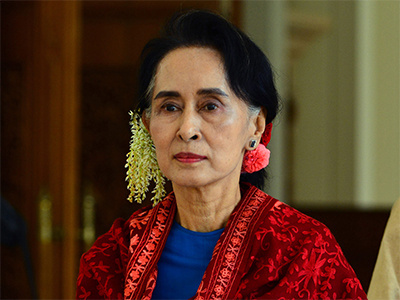 In October, Canadian lawmakers, in an unprecedented move revoking Suu Kyi’s honorary Canadian citizenship granted in 2007, cited her inaction on calling out “genocide” against the Rohingyas as a determining factor. Senator Ratna Omidvar was almost aggrieved at a symbol fallen from imposed grace. “The world pinned its hope on her as the shining light and hope for a democratic and peaceful Myanmar.” Suu Kyi’s ambitions were evidently more modest and less global. Amnesty International followed in November. “Our expectation,” came an enraged letter from its Secretary General Kumi Naidoo this month, “was that you would continue to use your moral authority to speak out against injustice whenever you saw it, not least within Myanmar itself.” The organisation thereby announced it revocation of the Ambassador of Conscience award. Committees often exhibit such pedantic, book-keeping tendencies. Berit Reiss-Andersen, head of the Norwegian Nobel Committee, eschewed any prospective policing role by her organisation’s members in 2017. “It’s not our task to oversee or censor what a laureate does after the prize has been won.” Once awarded, never to be revoked.